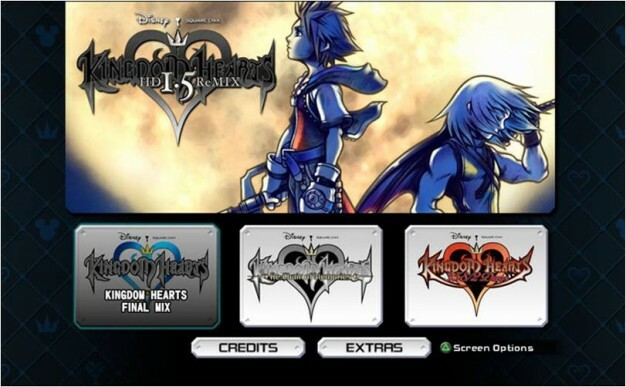 Kingdom Hearts HD 1.5 ReMIX released today! 11 years after the release of the first Kingdom Hearts game, Square Enix and Disney have re-released three of the series’ games for the Playstation 3: Kingdom Hearts Final Mix, Kingdom Hearts Re:Chain of Memories, and Kingdom Hearts 385/2 Days. The games that successfully merged characters from Disney and Final Fantasy franchises have been given an HD upgrade on the cinematics and models, as well as an improvement on camera and movement controls. Unfortunately, only the first two games have playable content; 385/2 Days only includes the game’s remastered cinematics to keep the player up-to-date with the story. Don’t fret, as this is more than made up for with new content found in the original Kingdom Hearts Final Mix game, which includes new weapons, enemies, and abilities. The benefit of this compilation is that these games were released over a number of platforms, and now you have the chance to play or watch them all on the PS3 from the comfort of your couch. If it’s been a while or you never got into Kingdom Hearts initially, now is a great time to pick the game up and familiarize yourself with the cast and story while waiting for the releases of the rumored second compilation (which hopefully will contain the other 3 games on consoles in the series) and Kingdom Hearts III. Check out the launch trailer to look at some of the updated graphics, and get excited to take Sora and the gang out to visit familiar Disney worlds once again!